The Only Resource of Its Kind Is Now Two Bestsellers in One! Tragically, churches have not always been safe places for children or youth or vulnerable adults. With this in mind, attorney, pastor, and author Melton outlines a process for developing policies and procedures to recognize and reduce the risk of abuse in the church. Safe Sanctuaries combines and expands information from two of her earlier groundbreaking books, which focused, separately, on children and teens. 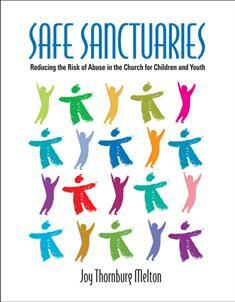 "Safe Sanctuaries is the most helpful resource I have found dealing with this troubling topic," says one minister. "Straightforward yet non-threatening, the information is helpful for all denominations and congregations of faith." Melton's transformative, relevant, and foundational resource will train leaders in what they need to know to stay safe and keep the vulnerable in their care safe. This revised edition now features updated and timely information about protecting young people from online predators.